We love finding secret spots in a big, touristy city like London. Not far from the murky River Thames lies the burial location of Benedict Arnold; the most notorious traitor of the American Revolution. The American general plotted a handover of the fort at West Point to the British for a tidy sum of money, making his name synonymous with treachery. 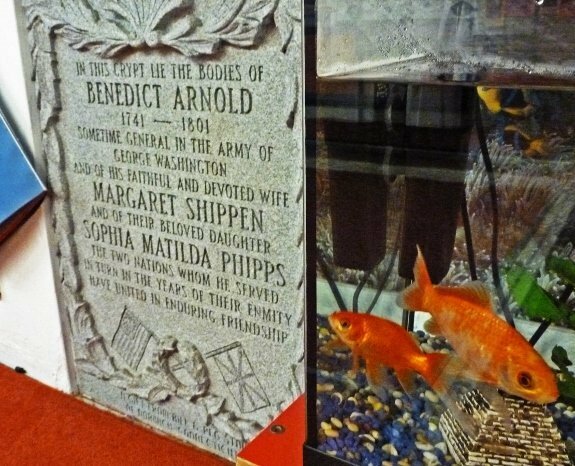 He moved to London after the war to evade capture; bringing along his young wife Peggy Shippen, the daughter of a prominent Philadelphia judge and granddaughter of the founder of Shippensburg, Pennsylvania. Sunny, the parish administrator, led us into the lower recesses of the church. The word “crypt” conjured up images of a gloomy spider-web infested cave. 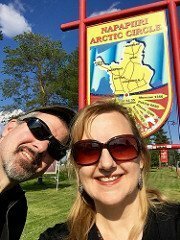 What we saw surprised us. 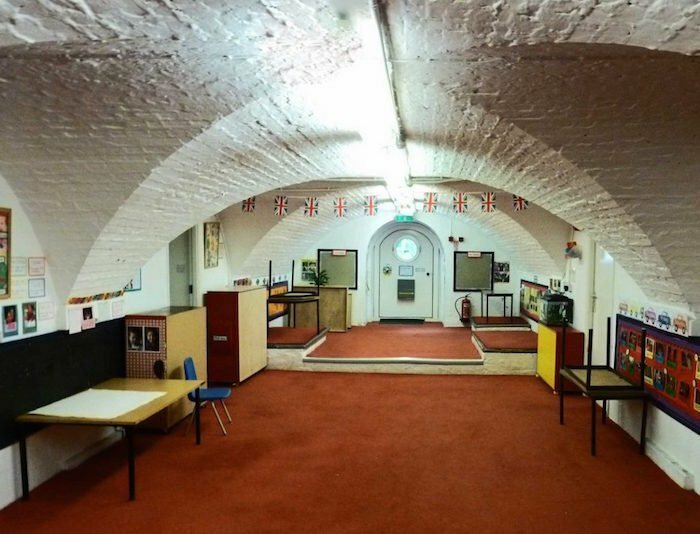 The space bears the low vaulted stone ceilings one would expect, but the brightly-lit walls are painted a vivid white. Arnold’s headstone is telling of his convoluted life. It states, “Benedict Arnold, 1741-1801, Sometime general in the army of George Washington. 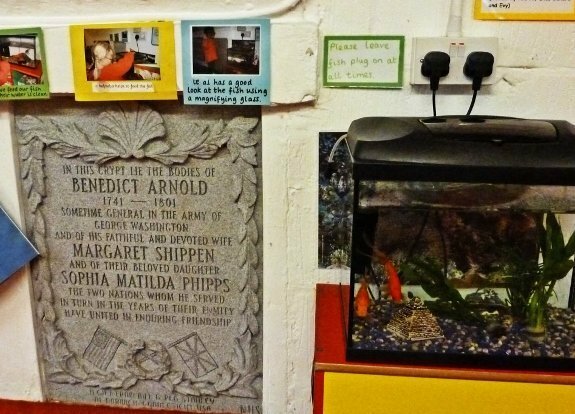 The two nations whom he served in turn in the years of their enmity have united in enduring friendship.” The plaque is a recent addition, donated in 2004 by an American who felt Arnold’s accomplishments as a hero of the Revolution, before he became a turncoat, have been overlooked. Upstairs in the church sanctuary an ornate stained glass window is also dedicated to Arnold. British Union Jacks and American Stars-and-Stripes are crisscrossed in friendship. It was donated by yet another American during the Bicentennial in 1976. 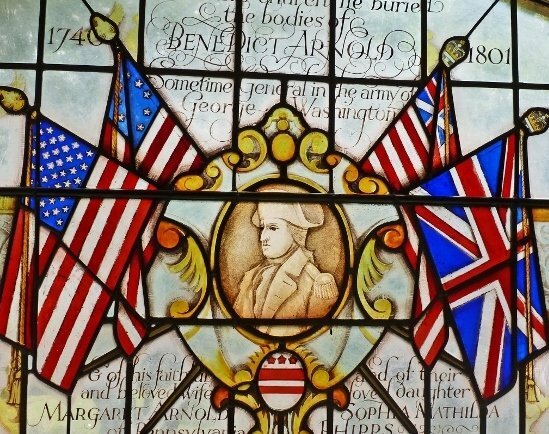 Benedict Arnold, who died a traitor to the Americans and in obscurity by the British, managed to garner a following some 200 years after his death. 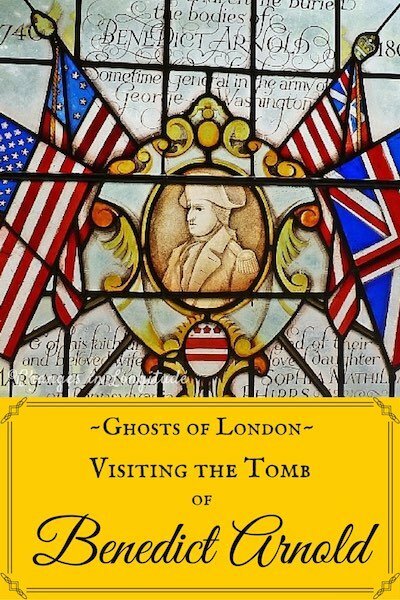 Call ahead to visit Benedict Arnold’s tomb at St. Mary’s of Battersea. 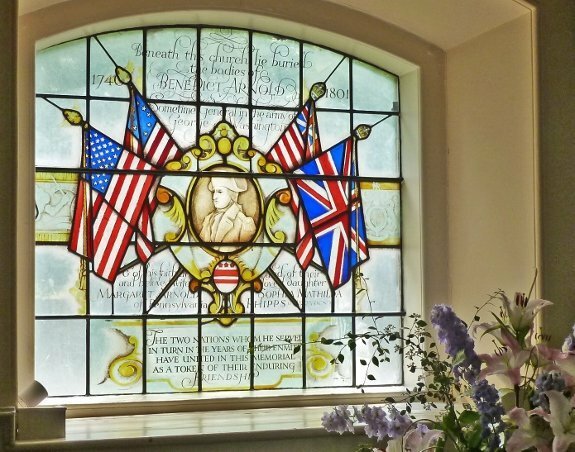 For more American Revolution history in England read about the Benjamin Franklin house in London.